The chilly dry wind, low temperature, low humidity and indoor heating that come with winter can play havoc on your skin, lips and other parts of the body. It can leave your skin dry and flaky as well as cause a dull complexion, cracked lips, itchiness and skin irritation. Along with a proper skin care routine, you need to keep a close eye on what you are eating to maintain a healthy glow throughout the winter season. 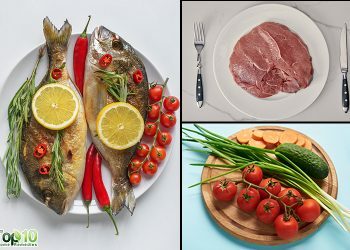 Your diet can help protect your skin against dryness and ultraviolet (UV) sun damage, minimize wrinkles and other signs of aging, and promote smooth and glowing skin. Certain foods can also be used topically to keep your skin healthy, beautiful and glowing even during the cold winter months. 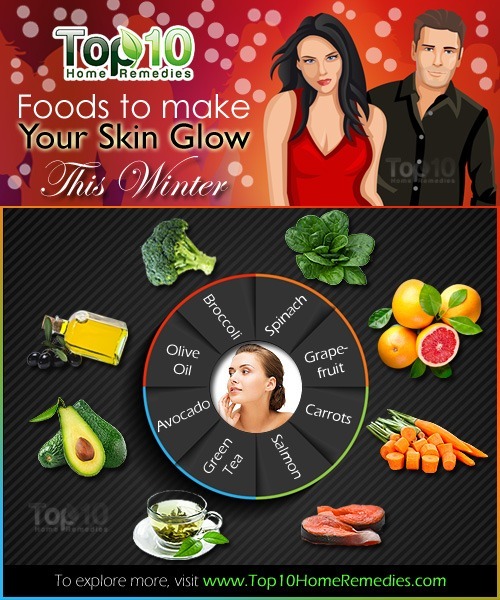 Here are the top 10 superfoods to make your skin glow this winter. Olive oil is good for your skin, especially during the winter when the skin tends to become drier. 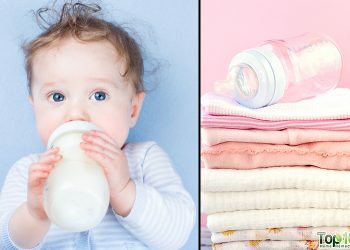 Being rich in vitamins A and E as well as several other minerals and natural fatty acids, it helps hydrate the skin to maintain its elasticity and softness. It also prevents skin aging, the appearance of wrinkles and fine lines, and protects the skin from free radical damage. Before taking a bath, rub warm olive oil over your face, the backs of your arms, your elbows and your knees. Massage gently for a few minutes, then take a warm bath. Afterward, pat your skin dry and wipe away the excess oil. Your skin will become amazingly soft and smooth. Also, use extra-virgin olive oil in salad dressings and cooking. Grapefruit contains vitamin C, an antioxidant that protects the skin from free radical damage. It also has lycopene that helps keep your skin smooth. The potassium present in it can prevent wrinkles and age spots as well as protect the skin against harmful UV sunrays. The amino acids in grapefruit make your skin more firm and soft. Plus, the unique phytochemical known as naringin in grapefruit reduces toxins in the liver, which results in healthier skin. Drink fresh grapefruit juice on a regular basis during the winter. You can also prepare a face mask with grapefruit and use it once a week. Mix the juice of ½ grapefruit, 1 tablespoon of honey and ½ cup of oatmeal powder. Apply it to your face, allow it to dry and then wash it off with lukewarm water. This face mask will provide smooth texture and natural radiance to your skin. You can also soothe dry winter skin with avocados. Being a good source of vitamins A, C and E along with monounsaturated fats, avocados help your skin lock in moisture. Also, this fruit contains folic acid, magnesium and potassium, which are all essential for healthy skin. Plus, they help give your skin a more youthful look by reducing the appearance of fine lines and wrinkles. In addition to eating avocados, you can make a hydrating face mask with the fruit. Scoop the flesh out of a ripe avocado and mash it properly. Mix in 1 teaspoon each of honey and olive oil. Apply this smooth paste on your face. Allow it to dry, then rinse it off with warm water. Use this face mask a few times a week. Avocado oil is highly moisturizing for dull, dehydrated and itchy winter skin. You can use this oil to massage your body before taking a bath. Carrots are loaded with vitamin A and other antioxidants that can keep your skin healthy, vibrant and glowing even during the harsh winter days. They can also prevent signs of aging like wrinkles, pigmentation and an uneven skin tone. Plus, carrots contain the carotenoids beta-carotene and lycopene that help protect your skin against UV damage. Being rich in potassium, they also help solve the problem of dry skin. Drinking a glass of carrot juice daily is a great way to keep your skin hydrated from within. 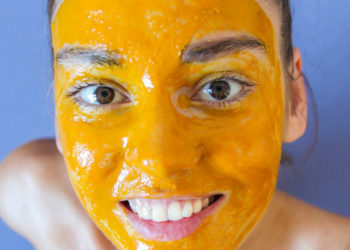 You can also make a moisturizing face mask with carrots. Mix 2 teaspoons of pureed carrots, 1 teaspoon each of honey and milk cream, and a few drops of olive oil. Apply it on your clean face. Let it sit for 10 to 15 minutes, then rinse it off will cold water. Use this face mask a few times a week to enjoy soft, glowing and moisturized skin. Broccoli is another healthy vegetable for your skin. It is packed with skin-boosting ingredients like vitamins A and C as well as natural estrogens that can do wonders for your skin. While vitamin C stimulates collagen production to keep the skin healthy, vitamin A protects the skin cell membranes and prevents skin damage due to sun exposure. Plus, the B vitamins in broccoli help get rid of dry, flaky patches, one of the most common skin problems that people have during the cold winter days. Regularly eat broccoli to give your complexion a beautiful natural glow. Opt for steamed, roasted or blanched broccoli to get the most benefits from it. Almonds contain powerful antioxidants that can do wonders for your skin, especially during the dry and cold winter days. They are also a good source of vitamin E that helps nourish your skin and protect it from the sun’s damaging UV rays. These nuts also contain many anti-aging properties that help reduce wrinkles, fine lines and other signs of aging. Before taking a bath, massage your body with either almond oil or almond milk. This will help you enjoy a remarkably glowing and radiant complexion. You can also use almonds to make a homemade scrub. Soak a handful of almonds in water overnight. The next morning, remove the peels and grind them. Add some milk or yogurt to form a paste. Use it as a facial scrub 1 or 2 times a week. 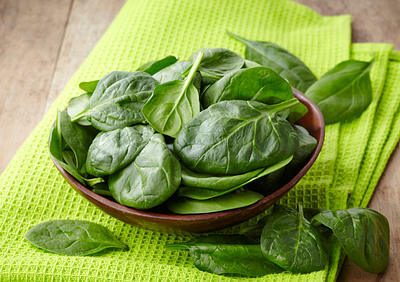 When it comes to healthy skin, you cannot ignore the benefits offered by spinach. This dark green vegetable has many nutrients needed for healthy skin cells and to fight the skin’s natural aging process. Spinach has high vitamin A content, an antioxidant that keeps your skin healthy and improves skin tone. Another antioxidant, vitamin C, helps repair skin cells and keeps your skin looking beautiful. Also, spinach is an excellent source of iron. 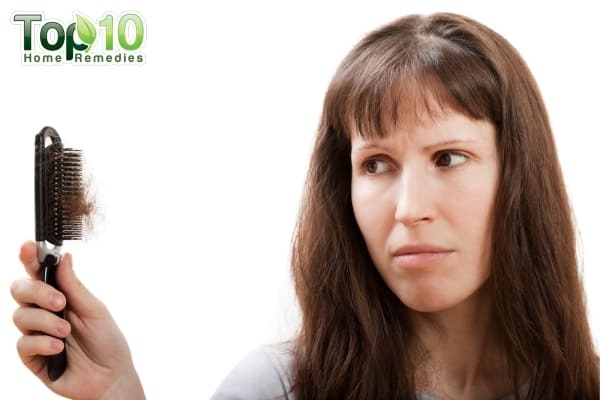 Iron deficiency can leave you with pale-looking skin along with frail health. Spinach also has lutein that protects the skin from sun damage. Drink ½ a glass of spinach with a little lemon juice daily to help prevent dry and irritated skin. You can also include spinach in soups, salads and other dishes. Green tea is rich in antioxidants that fight free radical damage to your skin. This can prevent dryness and flaky skin as well as improve your complexion. Plus, the polyphenols in green tea can prevent and reduce signs of premature aging like wrinkles, age spots and saggy skin. You can simply splash cool green tea on your face and then rinse your face with cool water. To make a gentle exfoliating mask at home, mix the contents of a used green tea bag with a little honey to make a paste. Apply it on your clean face, leave it on for 10 minutes and then rinse it off. Do this once or twice a week. 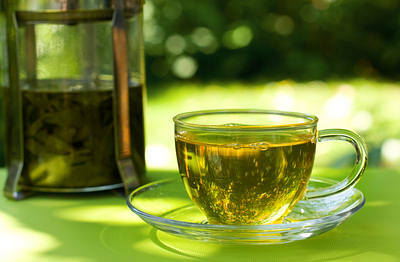 Lastly, do not forget to drink 2 to 3 cups of green tea daily. To have beautiful glowing skin during the winter months, you must include salmon in your diet. Its high amount of omega-3 fatty acids nourishes from within. This helps maintain plumpness and moisture even when exposed to skin-drying winter winds and central heating. 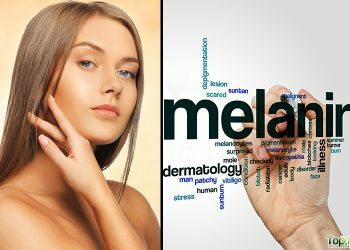 Plus, it has selenium, a mineral that protects the skin from harmful UV rays. 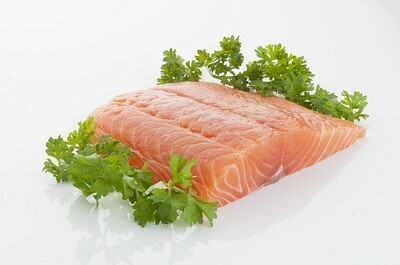 In addition, the zinc in salmon stimulates the production of new skin cells. Eat 2 servings of salmon weekly. Instead of fried salmon dishes, opt for grilled or baked salmon to enjoy smooth, clear and glowing skin. 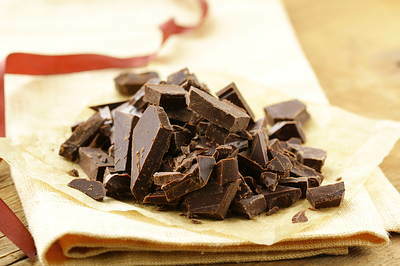 Dark chocolate, especially that with at least 70 percent cocoa content, is considered good for your skin. It is rich in flavonols that can help your skin look its best even during the harsh conditions of the winter season. Flavonols are antioxidants that help your skin protect itself from UV damage, fight free radicals, keep skin soft and supple, and increase blood flow. Eat just 2 to 3 ounces of dark chocolate weekly to reap the benefits of glowing and beautiful skin. You can also add glow to dull skin with a dark chocolate face mask. Melt a bar of dark chocolate in a double boiler. Mix in 1 teaspoon each of gram flour and milk cream along with a little lemon juice. Apply it all over your face. Leave it on for 20 minutes, then rinse it off with warm water. Use this face mask once a week. What we eat is reflected on our face. In the quest for natural beauty, glow, health, and vitality, Mother Nature provides everything we need to encourage and support the healthy functioning of our skin, but is up to us to accept her offerings. Balance our diet of minimally processed foods in their natural state, depending upon our activity level and state of wellness, and regularly detox our body skin help to keep our skin soft, smooth and glowing, releasing the toxins from our body through sweating. Ancient Skin Rejuvenation Ritual (Baiden Mitten) is the best for me. Thanks a lot for such a valuable information, and keep writing.